"La, la, la-la la, la, la-la la!" 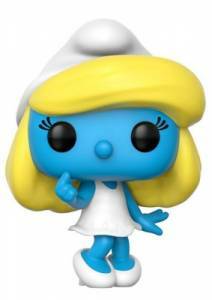 Feel free to sing (or hum) along as the friendly blue villagers get stylized with Funko Pop Smurfs. Children who grew up in the 1980s spent plenty of time on Saturday mornings watching the activities unfold in the magical Smurf village. The original cartoon series featured 100 Smurfs, each with their own unique personalities. 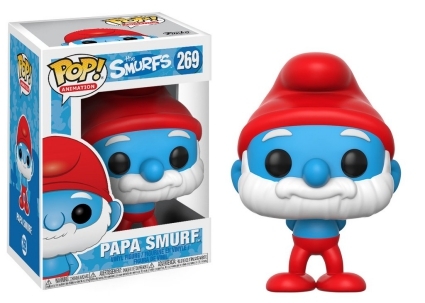 However, the most memorable characters get the Funko makeover, including the bearded Papa Smurf in his iconic red attire, and of course, the dainty and beloved Smurfette wearing a white dress and heels. 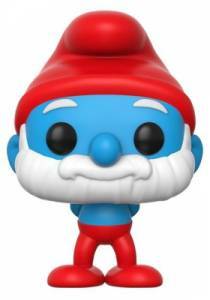 Order Pop Smurfs Figures on Entertainment Earth. 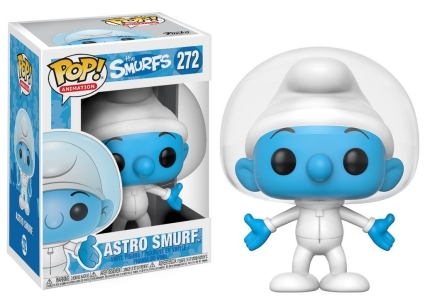 Naturally, Brainy Smurf carries a book while pointing his index finger as he is undoubtedly correcting someone, while Astro Smurf—who dared dream of meeting aliens—wears a see-through space helmet. 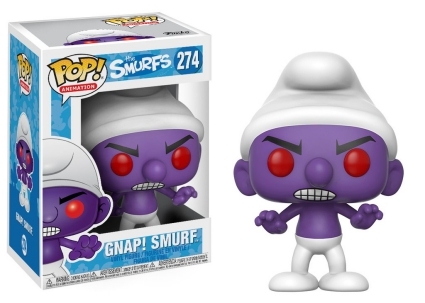 It's not just the good Smurfs, as there is also Purple Smurf, who only turned evil after being stung by a purple fly. 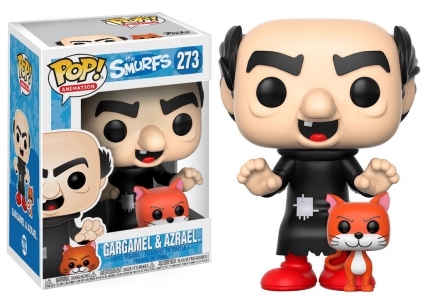 In addition, an almost bald Gargamel is paired with his cat, Azrael, both of whom are obsessed with the idea of capturing and eating a Smurf. 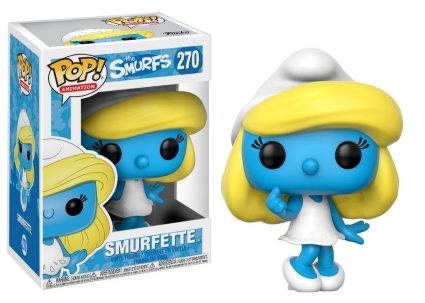 Funko Pop Smurfs is part of Pop! Animation.